Florida has not only experienced a series of devastating hurricanes over the past year, but also a storm of unsound decisions from the Florida Supreme Court that have further damaged the state’s civil justice system. Last year’s #1 Judicial Hellhole also suffers from a severe lack of legislative reforms, a continued crisis surrounding assignment of benefits, and abuse in its no-fault personal injury protection system. Plaintiffs’ lawyers wreak havoc in the Sunshine State and Republican leadership continues to stymy efforts to clamp down on abuse. According to the Perryman Group, excessive tort costs to the Florida economy result in $7.6 billion in annual direct costs and a loss of 126,139 jobs when dynamic effects are considered. Florida’s fall from the #1 spot cannot be attributed to any improvement in the state’s liability climate, but rather results from the sheer volume of problems plaguing California. Also, there is hope for improvements in 2019 in light of soon-coming changes in the Florida Supreme Court’s membership and recent changes in the state’s legislative leadership. The Florida Supreme Court’s liability-expanding decisions and contempt for the lawmaking authority of the state legislature has repeatedly led to its inclusion in this report. As discussed in last year’s report, in 2017, the issued several rulings that hurt Florida’s healthcare environment and allowed plaintiffs’ lawyers to hide questionable referral relationships with doctors. This year, the court was up to its usual antics. Unfortunately, the Florida Supreme Court rejected the Florida Legislature’s efforts to improve Florida’s expert witness standard. In DeLisle v. Crane, defendants challenged plaintiff ‘s expert’s testimony that plaintiff developed mesothelioma due to a combination of low-dose exposures to asbestos fibers in sheet gaskets (while working at a paper company) and the filters of Kent cigarettes (while smoking), among other sources. A Broward County jury returned an $8 million verdict. A mid-level appellate court, however, overturned the verdict, finding two of the plaintiff ‘s expert witnesses failed to meet the Daubert standard. In a 4-3 opinion, the Florida Supreme Court held that Florida’s far weaker standard, which allows “pure opinion,” is the “appropriate test in the Florida courts.” As predicted in last year’s Judicial Hellholes report, the court used this asbestos-tobacco case as a means to find that, in requiring expert testimony to be based on sound science, the legislature encroached upon the court’s authority to set court rules. Another Florida Supreme Court ruling exposes insurers to liability far beyond the insurance policy limits purchased by the insured. In Harvey v. Geico General Insurance Co., the court ruled in favor of a policyholder who killed a man in a car accident while covered under a $100,000 GEICO liability policy. GEICO tendered the policy limits in nine days, but the estate returned the check and sued the policyholder. A jury awarded the estate $8.5 million in a wrongful death judgment. After the judgment, the policyholder, who was 100% at fault in the accident, sued GEICO. He alleged that his insurer did not promptly inform him that the estate had asked for a statement of his financial resources. Had the estate received this information and seen that he lacked money to pay a large judgment, he claimed, the case may have settled. The award came about in a wrongful death action brought by the daughter of a lifelong smoker who died from lung cancer. The jury awarded her $6 million in compensatory damages, which was later reduced to $4.5 million in accordance with the jury’s finding that her mother was 25% at fault. As the plaintiff was a financially independent adult, these damages were for pain and suffering, not economic losses. The jury also awarded $14 million in punitive damages. The Fourth District Court of Appeal concluded that “the relationship between an adult child living independent of their parent is simply not the type of relationship” that could justify a multi-million-dollar award. It observed that appellate courts had overturned similarly high awards to adult children of smoker. Noting that an appellate court should only find an award excessive if it “shock[s] the judicial conscience,” the Florida Supreme Court determined the Fourth District failed to give proper deference to the trial court. Fresh off its ruling invalidating Florida’s statutory limit on noneconomic damages in medical liability cases, the high court emphasized that “neither the Legislature nor this Court has established a cap on the amount of noneconomic damages a survivor may recover in a wrongful death action,” and it would not allow Florida’s trial court judges to impose what it viewed as cap. As a result of a September 2018 Florida Supreme Court ruling, businesses that simply rent equipment in Florida are now exposed to significantly greater liability. While working for an independent contractor to clear debris from a vacant lot, Anthony Newton was injured when a tree stump was accidently released and rolled over his hand. Newton blamed Caterpillar, however, for his injury, claiming the company was responsible because it leased the Bobcat loader in which he was hurt. The Florida Supreme Court held that a company that rents construction equipment is liable for the actions of the person who uses it, reversing both the trial and appellate court. Instead, the court subjected Caterpillar to vicarious liability for an accident over which it had no control. In a 4-3 decision, the Florida Supreme Court found the Bobcat qualified as a “dangerous instrumentality” under state law, and therefore, Caterpillar could be held vicariously liable. The court’s ruling expands the category of “dangerous instrumentality” to include machinery not previously found to meet this standard. It also extended a doctrine intended to protect the general public from “peculiarly dangerous” equipment to a hired construction worker injured on a private lot. Now, businesses that lease equipment, tools, or other products in Florida are likely to face more lawsuits if something goes wrong. In February, the Florida Supreme Court refused to review a multi-million dollar verdict against R.J. Reynolds, despite clear evidence of juror concealment and misconduct, allowing the verdict to stand. A Duval County trial court awarded a plaintiff $3.09 million in compensatory damages and $7.75 million in punitive damages after finding the tobacco company liable. When a juror was asked during jury selection about whether or not he had an opinion about cigarette companies, he simply responded, “they are a business.” That person was not only selected for the jury, but became jury foreman. During the trial, it was discovered that his posts on Facebook referred to tobacco companies as “leeches” and encouraged addicts to stop “being a slave to some rich guy who sells tobacco products. Break the chain.” The trial court, however, refused to replace the juror with an alternate. The trial court denied the defendant’s motion for a new trial, finding that while the Facebook posts were relevant to jury service in the case, the language the defendant used to question the jury was too subjective and not specific enough, allowing the juror to provide a vague, evasive response. Never mind the fact that all of the other prospective jurors had no problem with the question and all answered appropriately. R.J. Reynolds appealed, but the judgment was affirmed by a divided First District Court of Appeals. R.J. Reynolds then petitioned the Florida Supreme Court to review the case, but the court denied review. The 2017-2018 Judicial Hellholes report highlighted four medical liability decisions by the Florida Supreme Court that undercut patient safety, protected lawyers’ fees, allowed higher damage awards, and invalidated a law intended to reduce litigation. It added one more ruling to that liability-expanding tally this September when it found that a trial court improperly dismissed a medical liability claim when the plaintiff ‘s case was based on the testimony of an expert witness who was not actively practicing medicine as required by Florida law. We are starting to see the true impact of these decisions. As a result of the Florida Supreme Court’s continued expansion of medical liability, Florida now has some of the highest medical liability payouts of any state in the country. The Florida legislature had previously enacted a medical liability reform statute in 2003, which placed a reasonable limit on noneconomic damages in medical liability cases. This was in response to the severe access to medical care crisis facing the state and rising costs of health insurance. The statute was accomplishing the legislature’s intended goals until it was struck down by the court in two separate decisions, one in 2014 and one in 2017. Now, it appears Florida’s health care system is headed back in a very dangerous direction. In 2018, the price of the least expensive silver health insurance plan available to Florida residents increased by 47.6%. Not only has the Florida Supreme Court expanded doctors’ liability, it also has significantly curtailed the ability of patients and doctors to avoid litigation by way of relatively inexpensive and quick resolutions through arbitration. The court twice ruled, in December 2016 and then again in May 2017, that an agreement to arbitrate any dispute arising out of medical care entered between a doctor and patient is void and violates public policy unless the agreement mirrors provisions included in Florida’s Medical Malpractice Act. The defendant in the most recent case, Kindred Hospitals East, urged the U.S. Supreme Court to review the decision, arguing that these rulings violate the Federal Arbitration Act, which promotes arbitration by generally requiring states to honor and enforce such agreements. The hospital noted that state law compelling it to surrender its defenses in order to arbitrate a dis- pute is incompatible with the federal law. Unfortunately, the high court denied the petition for certiorari in January of 2018, leaving Florida medical professionals with no option but litigation. Lower courts have followed the lead of the Florida Supreme Court in issuing anti-arbitration decisions. In June, Miami-Dade County Circuit Judge Jose M. Rodriquez struck down a Florida law that would have reduced a plaintiff’s noneconomic damage award from $500,000 to $350,000 in a medical liability case because the plaintiff had refused a doctor’s request to attempt to resolve the issue through arbitration. The judge found that the “provisions did not hold up to current-day scrutiny” and violated the equal protection clause. Florida lawyers observe that this limit on noneconomic damages, which has been in place for thirty years, is “the last remaining vestige[ ] of the statutory scheme designed to limit intangible damages in medical malpractice cases.” While courts in most other states have found that legislators may reasonably constrain subjective noneconomic damages, it is now open season on Florida’s doctors. In what is one of the more bizarre cases of 2018, a South Florida plaintiffs’ attorney filed a class action lawsuit against McDonalds alleging that the restaurant forces people who buy ‘Quarter-Pounders’ to pay for cheese whether they want it or not. The lawsuit accuses McDonalds of breaking antitrust laws by creating an “illegal tying arrangement.” The suit asks for $5 million – a ‘Quarter-Pounder’ costs roughly $4.19. The lawsuit was filed by Andrew Lavin of the Miami-based Lavin Law Group and it quickly caught the attention of another South Florida plaintiffs’ firm. John Uustal of Kelley Uustal believes this case is actually a secret plot by tort reform organizations to discredit the Florida trial bar. He is offering up to $100,000 to anyone who can help prove his theory. Uustal cannot fathom why any attorney would bring as frivolous of a case as this, a question we ask ourselves hundreds of times a year. According to Uustal, “We know that big corporate interests have successfully attacked the credibility of our civil justice system by highlighting frivolous lawsuits… They’re perpetuating the idea that lawyers are shifty scammers. They are brainwashing us to think that lawsuits in general are frivolous.” Uustal does not have to look much farther than his own home state of Florida to see “shifty scammers” and frivolous lawsuits are all around. The history of fraud in Florida’s “no-fault” personal injury protection (PIP) system has been long chronicled in the Judicial Hellholes report. Under the current PIP system, insurers are required to pay up to $10,000 for medical expenses stemming from auto accidents no matter who is at fault. Florida lawyers and their associates have been abusing the system for years, contributing to why Floridians have some of the highest car insurance rates in the country. This year, the Florida legislature considered a bill that would have repealed the PIP system and replaced it with a bodily-injury coverage requirement. The bill died in committee in March. It was criticized because the proposed changes would have increased costs for motorists and many said it was simply “PIP by another name.” The House considered another bill that was projected to save motorists on average $81 a year, but that effort failed as well. While courts in most other states have found that legislators may reasonably constrain subjective noneconomic damages, it is now open season on Florida’s doctors. There is an overwhelming need for “no-fault” PIP reform as “corrupt lawyers” in South Florida were caught in a multi-million dollar insurance fraud scheme last fall. The lawyers tricked clients into believing they had lucrative lawsuits, encouraged them to visit a network of chiropractic clinics, and convinced them to have expensive treatments, even when uninjured. Accident victims were pushed to make dozens of unnecessary visits to the clinics until their bills reached the maximum $10,000 PIP benefit. These South Florida lawyers were not the only ones involved in this type of litigation, as the number of PIP cases reached a record high in 2017. The PIP system, which was supposed to reduce the number of lawsuits, instead produced more than 60,000 new cases last year alone—a stunning increase of almost fifty percent in one year. 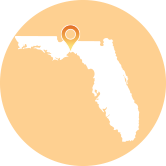 PIP cases are by far one of the largest sources of litigation in Florida, representing over half of the state’s overall insurance litigation. These lawsuits significantly drive up consumer costs and directly impact the average Floridian. Some Florida drivers saw their premiums for PIP coverage increase by over fifty percent in 2017 alone. The end of the 2018 legislative session marked more than five years without the passage of a bill that would address Florida’s Assignment of Benefits (AOB) abuse. Assignment of Benefits allows an insured to sign over control of their homeowner’s or auto policy to a third party, who is then able to push for a higher claim payout, and sue an insurer without notifying the insured. For example, when a consumer needs home repairs after a storm, he can expedite the process by signing over the right to deal with the insurance company to contractors. It is intended to speed up repairs; however, lawyers and contractors enrich themselves by running up costs and making unnecessary repairs. Insurance companies are then pressured into settling inflated claims in order to avoid hefty litigation expenses. The AOB crisis continues to drive up insurance rates and drag down the Florida economy. Abuse of this system imposes a tax on everyone in the state through higher insurance premiums. One popular Florida insurance company, Heritage Property & Casualty, sought a double-digit rate increase for 2018. According to the company’s CEO, Bruce Lucas, assignments of benefit fraud is costing homeowners more than $1 billion annually and is considered the largest scam in the history of the state. Lawsuits involving an AOB rose for a third straight year to 129,781 in 2017, up from just 20,000 in 2010. Lawyers in South Florida are especially focused on this “jackpot justice,” with 11 lawyers filing a quarter of all AOB- related lawsuits from 2013-2016. One might expect legislators to make AOB reform a high priority, given the growing crisis, but that certainly has not been the case. Even more surprising, the legislator most focused on blocking reform measures is Senator Anitere Flores, a Republican from Miami. In 2017, Senator Flores, Chair of the Senate Banking and Insurance Committee, let an AOB reform bill languish in committee. This year, the House of Representatives passed a reform effort by a vote of 82-20, but it was once again stymied in the Senate by Senator Flores and Senate President Joe Negron (R). Senator Flores, however, was fully supportive of a bill sponsored by Senator Greg Steube (R), a known trial bar advocate, that would have prevented insurance companies from including litigation costs in rates and limited their abilities to deny claims based on fraud. Under this legislation, AOB fraud would skyrocket. It’s no secret that the powerful Florida plaintiffs’ bar has infiltrated the Republican party, and Senate President Joe Negron, and Senators Flores and Steube continued to do their bidding in the legislature in 2018. Florida continues to be a top spot for lawsuits under the Americans with Disabilities Act. While the Act was originally “well-intentioned,” it has become one of the trial bar’s favorite litigation tools. Typically, a single ADA plaintiff morphs into a “serial suer,” filing multiple complaints simultaneously across the entire state of Florida. For example, Juan Carlos Gil, a legally blind man with cerebral palsy, brought a historic website-accessibility case against Winn-Dixie Stores Inc., which opened the floodgates to similar lawsuits. Gil is a plaintiff in at least 69 federal cases. Another Florida plaintiff, Ann Marie DeFeo has filed 154 lawsuits. A strong trial bar supporter, former Speaker of the House Richard Corcoran (R) failed in his bid to become the next governor of Florida. Plaintiffs’ lawyers specializing in medical malpractice and product liability claims were among those contributing large sums to Speaker Corcoran’s campaign. Former U.S. Representative Ron DeSantis (R) was elected governor, defeating Andrew Gillum (D). Senate President Joe Negron, another strong plaintiffs’ bar ally, resigned in May of 2018 and will not complete the final two years of his term. Senator Negron said he wanted to honor the limit of two straight four-year terms set on state senators. Senator Bill Galvano (R) will replace Negron as Senate president after Republicans maintained control of the Senate following the 2018 elections. Representative Jose Oliva (R) will replace former Speaker of the House Richard Corcoran. The change in leadership is encouraging and increases the prospects of enacting legislative reforms in the future to address some of the longstanding abuses occurring in the state. After years of decisions expanding liability and invalidating legislative attempts to restore balance, the Florida Supreme Court’s composition is poised to significantly shift. On January 6, 2019, three members of the court— Barbara Pariente, Fred Lewis and Peggy Quince—must retire, as they have reached Florida’s mandatory retirement age. The retiring justices formed the core of the court’s 4-3 majority for the past twenty years. They voted to reject stronger standards for expert testimony, invalidated reasonable limits on damages and attorneys’ fees, and found arbitration agreements unenforceable, among many other rulings that substantially contributed to the Sunshine State becoming a Judicial Hellhole. Incoming Governor Ron DeSantis will fill these open seats. After these changes occur, there is optimism that the court will reach evenhanded decisions that are firmly grounded in the law and respect the legislature’s authority to curb unwarranted liability and lawsuit abuse.